The third edition of Max Payne is ready for release. This article gives you complete details about Max Payne 3. More details about the system requirements, game details and summary of the game are quoted in this article. Read the article full to get full details about Max Payne 3. Max Payne 3 is a third person shooter game which wills be released in March 2012. After a long time, the third version of Max Payne is ready to release and is available in all platforms which includes windows, Playstation 3 and xbox 360. Maxpayne 1 is a famous videogame in the older days. Max Payne 3 is the latest version in Max Payne series. Max Payne 3 is released with mind blowing graphics and interesting missions. You can play Max Payne 3 on both single player and multi player mode. The features of the game are more developed than earlier versions of Max Payne 3. As the first two versions of Max Payne is already hit and all are waiting for Max Payne 3 release. As we seen in earlier versions of Max Payne, shoot dodge mechanism is well set in Max Payne 3 to attack enemies. Max Payne 3 is developed by Rockstar Vancouver, Rockstar New England, Rockstar London, Rockstar Toronto and published by Rockstar games. This game is having high graphics and requires latest graphics card to play this game in windows. Story of Max Payne 3 takes place with a new life of Max which is totally different from previous versions of Max Payne series. You can pre order Max Payne 3 from the official website of Rockstar. The gameplay of Maxpayne 3 takes place in brazil where the main character payne is working in a private security sector for a wealthy local family. Dan Houser is the writer of Max Payne 3 who is a famous writer in many hit games like Grant theft Auto and red dead redemption. 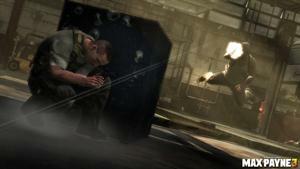 The trailers and videos of Max Payne 3 is already hit and ready for downloads. As per the latest statistics the game will be hit in 2012. More details about Max Payne 3 and its system requirements for playing in PC are given below. Max Payne is developed with latest technology and high quality graphics. The game requires high quality graphics cards to run the game smoothly in windows. The game must at least meet the minimum system requirements as stated below. More details about the minimum and recommended system requirements to play Max Payne 3 in PC are given below. As per the latest news, Max Payne 3 will be released on March 2012. The game is available in windows, xbox 360 and Playstation platforms. Have a quick look at the game details of Max Payne 3 which is given below.